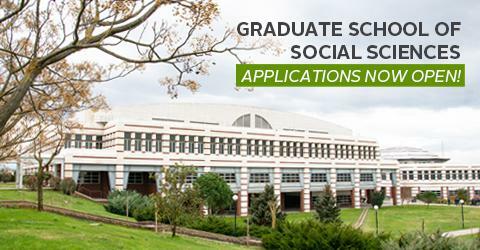 The Sabancı University Graduate School of Social Sciences will accept application to the following MA and PhD programs that start in the Fall semester of the 2019–2020 academic year. Application is completed in two stages. In the first stage, candidates must submit an online application at the website below. In the second stage, all required documents and a printed copy of the online application receipt page must be mailed or personally delivered to the Sabancı University Student Resources Department address below. What are the rules and required documents for application? Please click here for the rules and required documents for master programs application. Please click here for the rules and required documents for doctorate programs application. What are the scholarship opportunities? Candidates may be given various kinds of scholarships based on merit. Please click here to view the scholarship opportunities for graduate programs at Sabancı University. Please click here to view the application deadlines for all graduate programs at Sabancı University. Candidates shortlisted by the admissions jury of their respective program may be called in for a written exam or interview by email. Candidates who live abroad and cannot be interviewed in person may be interviewed over the telephone or Skype. Interview dates and written exam dates and hours are given below. Candidates will be notified of their interview times by email. Interviews are held in rooms of the Faculty of Arts and Social Sciences (FASS). You may contact the following faculty members for academic issues and questions. You may contact Sabancı University Student Resources for more information regarding application and admission procedures.